2. Overnight train to Varanasi. Spend two or three days there. 3. Overnight train to Agra. See Taj Mahal. Anything else to see in Agra? Should we spend the night, another day, or leave the same night? 5. Overnight train to Udiapur. Spend two or three days there. What are the most popular sites in Udaipur? I have 3 weeks, is there anything else worth visiting in proximity? I would like to enjoy my vacation and not run around on train every day. Also I dont want to go crazy and see a million forts, temples, etc. I'm in my late 20's, I'd rather get a taste of a little bit of everything. Any comments or revisions to this itinerary would be greatly appreciated! I will not comment on the Rajasthan and Khajuraho part as I have never been there. Certainly Khajuraho is a place not to be missed. But in my opinion, if you can't fit it in comfortably in your itinerary then leave it for yor next trip. In Delhi try to accommodate Humayun's Tomb in your plan. Varanasi, I think deserves more than three days. And beside you can have a trip to Sarnath (12 km from Varanasi). In and around Agra, there much to see than Taj. Beside Agra Fort, Itmad-Ud-Daula's Tomb (or Baby Taj) deserves a visit which is on the opposite bank of Yamuna. And Fatehpur Sikri, (40 km from Agra) you can consider too, during your stay in Agra. There is a direct train connection between Varanasi - Khajuraho and Khajuraho - Agra, running 3 days a week. If you want to visit Chittorgarh do it as a day trip from Udaipur. Some sites near Udaipur are Ranakpur, Kumbhalgarh, Jaisamand lake, Haldighati. Sites in Udaipur are City Palace, Sajjangarh, Fateh Sagar Lake, Doodh Talai (take the cable car to the top of the mountain amazaing view of Lake Pichola), Ahar Cenotaphs, Saheliyon ki Bari, Rana Pratap Memorial. You can include Jodhpur, Jaisalmer would be too out of the way. I've heard Agra Fort is cool, & quite near the Taj. I didn't go as Mom was sick the day we were in Agra, but it looked interesting from outside. 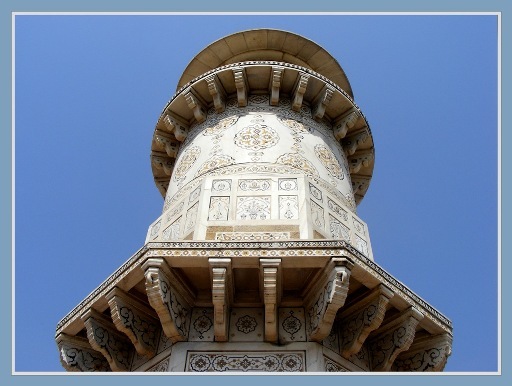 Also, Humayan's tomb was designed by the same guy that designed the Taj and has been called the mini-Taj. Some friends who I went with just after they'd seen the Taj said it was pretty boring after having just seen the real thing. It's a cool place, but you may keep that in mind. Also, Humayan's tomb was designed by the same guy that designed the Taj and has been called the mini-Taj. Sorry to interrupt, but it seems to me you wanted to mean Itmad-Ud-Daula's Tomb. Humayun's Tomb was built in 1562 AD whereas Taj was in 1648 AD. An architect attending his office for 96 years!!!!!!! PS. I's tomb looks like it's worth a look-see next time I'm in Agra, though!